Shaun is the Director of Instruction at The Learning Center with seventeen years of teaching experience in California, Colorado, and Washington, DC. He caddied on the European Tour and mini tours. He became Head Golf Professional and instructor at Red Hawk Golf Club in California. 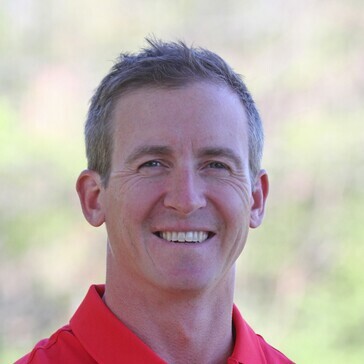 Several years later, Shaun got the opportunity to teach at a ski & golf resort in Telluride, CO, where he split his time teaching golf in the summer and teaching snowboarding in the winter. In Telluride, Shaun was fortunate enough to work under PGA Lifetime Member and Golf Digest-ranked instructor Dan Smith. Another career opportunity came in 2008 when Shaun relocated to Washington, DC. He began teaching for The Learning Center at Reston National Golf Course in 2011. Shaun has huge base of junior students and works with some of the top players in the region. He has also helped take The Learning Center to even greater heights and to continue to make it one of the top golf schools in the county.